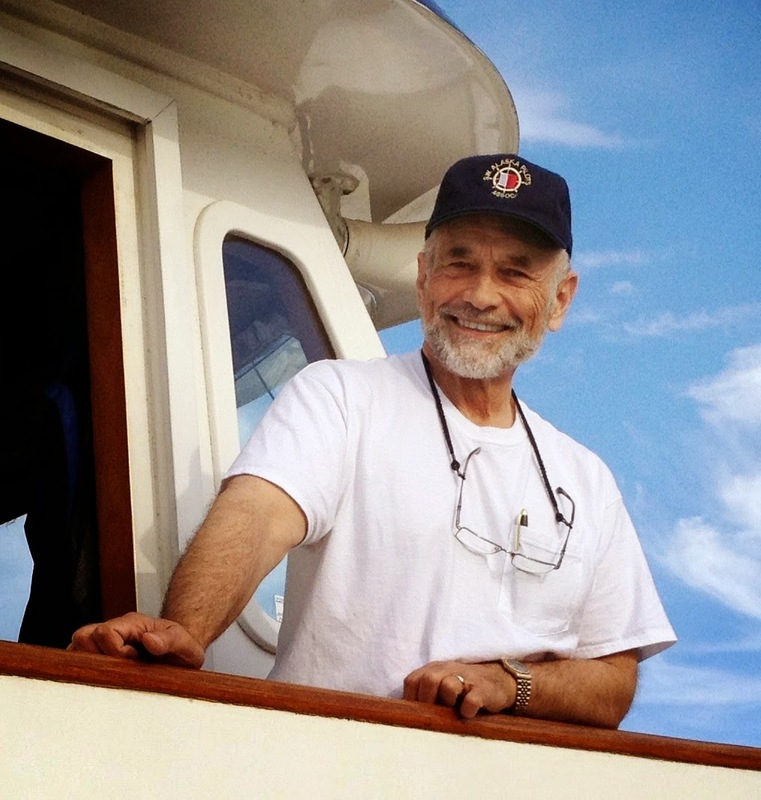 I received this email from Captain Jim Wright. As always I enjoy his commentary on the challenges of automation in the airline as the shipping environment. I think this is something that you, too, will appreciate. We would love your thoughts. "Due to the limited space in Amazon for book reviews, the following ideas expand on my recent Amazon Review of “Flight for Sanity”. Your thoughts and evaluation are encouraged. You could say that “Flight for Sanity” is a narrative of “good” and “evil” using “automation” and “automation dependency” as common threads to connect the narrative. The “good guys” see automation as a means of enhancing safety; the “evil guys” see automation dependency as a means of gaining control and enhancing personal wealth. But first, we need to look at how “automation” (a good thing) can change into “automation dependency” (a bad thing). While several explanations could answer, thinking-outside-the-box might produce an unexpected explanation which falls into the area of ideology. Pressing on, you could say that “automation” is a by-product of capitalism (personal achievement) while “automation dependency” is a by-product of socialism (equality). How could this be? When my pilotage career began many decades ago, automation had not yet appeared on the horizon. The goal of everyone in our pilot association was to continually improve our ship-handling skills. As electronic aids began to appear, it seemed that prospective pilot applicants were relying more on automation than on traditional ship-handling skills. Did this suggest that although men are created equal (see Thomas Jefferson), ship-handling and (hand-flying) abilities are not apportioned to all pilots in equal measures? And, if so, is safety enhanced by using automation as a means of forcing equality? Or, is it more likely that forcing equality reduces safety? For example, in maritime simulation it has been demonstrated that both experienced and inexperienced pilots can adequately recover from a difficult situation using automation. When automation is failed the difference between “experienced” and “inexperienced” becomes apparent. This would suggest that “equality” and “safety” are opposing goals. Stated in another way, replacing piloting skills with automation produces the appearance of equality while reducing the ability of pilots to effectively cross-check active automation or to replace failed automation. This begs the question, “what purpose is served then by substituting automation for piloting skills”? Perhaps the adage, “follow the money” suggests an answer. Capitalist systems are based on supply and demand. Increasing the supply of pilots reduces the demand for pilots and potentially increases free corporate cash-flow. While this process may have an acceptable inflection point, the human default condition of greed tends to push the process beyond that inflection point. The “reasonable” usage of regulations can avoid this unintended consequence of capitalism. Some might see this as an argument in favor of socialism. They would be missing the point. The point being that socialism is based on equality and equality produces a regression to the lowest common denominator. Socialism promotes “automation dependency” as a means of reducing the definition of pilot equality. Winston Churchill commented on this phenomenon with his famously stated assertion (paraphrased) that, “Capitalism is the unequal sharing of profits and Socialism is the equal sharing of misery”. You could say that Socialism is the progressive lessening of individual ability to the level of the least qualified. At that point control (and wealth) shifts to the few who promoted the system in the first place. Summing up, the best use of automation is to augment the exceptional flying skills of individual pilots. Regulations play an important part in realizing this goal when used to promote a safe system rather than to create a hierarchical system. people often rise to their level of incompetence." will understand this challenge of good and evil. "Join us as we welcome three passionate authors, Former Eastern Airline Pilot, Captain George Jehn, Christine Negroni, and Captain Karlene Petitt. All who have written books and discussed Air Crash Investigations and the like, and will share their thoughts and views with our listeners. 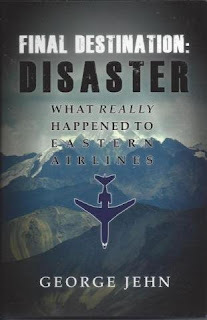 All three authors have been on previous programs with us, and we are happy to have them join in this discussion on airline disasters that have destroyed the lives of love ones around the world. Christine Negroni, Author of “The Crash Detectives,” brought us a fascinating exploration of how humans and machines fail—leading to air disasters from Amelia Earhart to MH370—and how the lessons learned from these accidents have made flying safer. 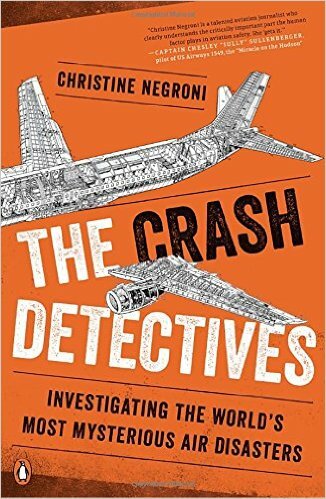 Christine is a veteran aviation journalist and air safety investigator who takes us inside crash investigations from the early days of aviation to the present, including the search for answers about what happened to the missing Malaysia Airlines Flight 370. As Christine dissects what happened and why, she explores their common themes and, most important, what has been learned from them to make planes safer. Karlene Petitt, Author, is an International A330 Pilot who is type-rated and has flown and/or instructed on the B744, B747, B757, B767, B737, B727 and A330. Karlene is a 33-year veteran of flying, and has worked for Coastal Airways, Evergreen, Braniff, Premair, America West, Guyana, Tower Air, Northwest Airlines and currently flies an Airbus for an International airline. 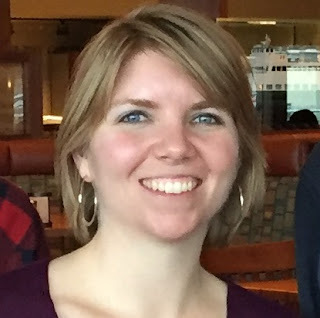 She lives in Seattle and is active in promoting safety within the airline industry. Karlene is well known for her new book "Flight For Sanity" along with "Flight For Control", "Flight For Safety" "Flight For Survival" and many other wonderful books." “Air Crash Investigation” Round Table. Kelly is a flight attendant for a major US carrier, and an incredibly talented lady. I had the chance to meet her at Ivars in Seattle last Sunday. We had a fabulous lunch, compliments of our good friend JR, and a great visit. 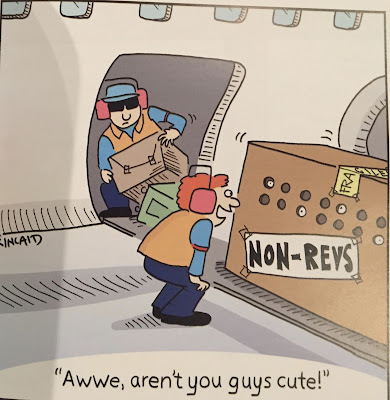 Who can't laugh at our aviation world? 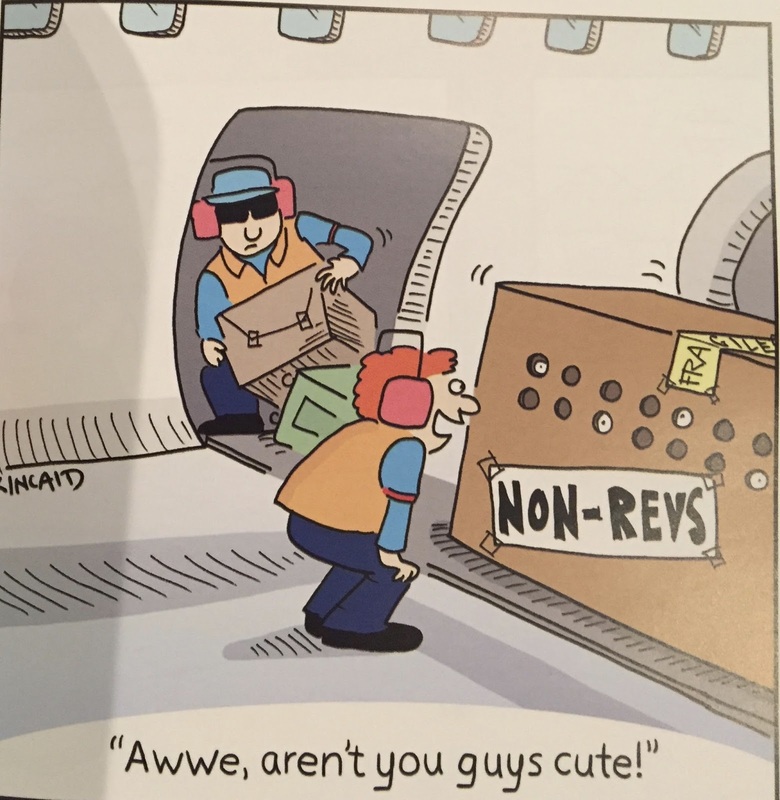 Whether you are a working crew or a passenger, we all know there is a lot to laugh about. Not only is she a flight attendant with a sense of humor, but Kelly is also the creator of a popular flight attendant cartoon called Jetlagged Comic. But Kelly's success did not come without adversity. As many of us in this industry have experienced, we have been furloughed. What is that? A polite way of saying you don't have a job. It's the time in your career where you are put on a shelf, waiting to come back to work, but you don't know exactly when that might be. Months or years. Do you wait? Do you get another job? Well, Kelly loved her job so she filled her time by starting a cleaning business. Something that would provide an income, but would never keep her from her job in the sky when they called her back. Fortunately, Kelly only had to wait four months to return to work. But being furloughed makes a person realize that employment is not guaranteed in the airline world. Seven of my eight airlines are out of business. So a few years after her furlough, Kelly revisited her passion of drawing and writing, and through the encouragement and support of her boyfriend, who is now her husband, they began the journey of taking Kelly's talents to paper. And the rest is history! Writers share their passion for multiple reasons... to educate, create awareness, or entertain. But the side effects for writers are amazing. Some of us call it therapy. 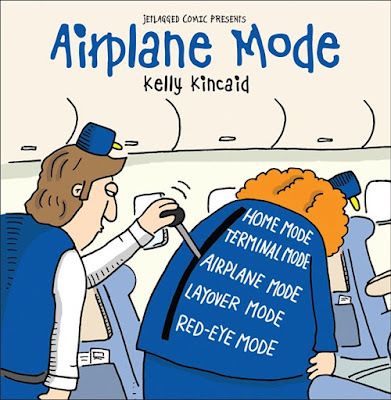 Kelly understands that when she stated, "What started as a coping method from working long days with the general public, quickly turned into a flight attendant humor outlet." An outlet that we can all appreciate! Passengers will love this too! 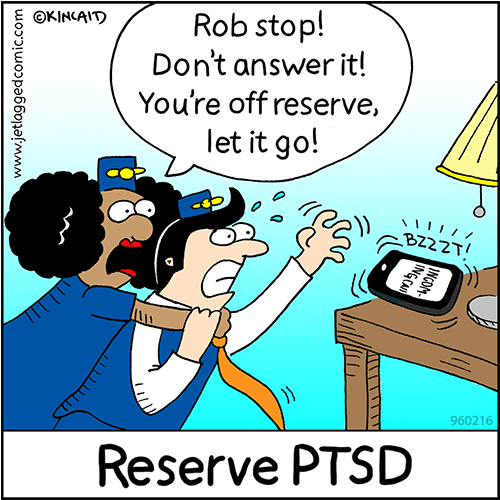 Her comics deal with the every day lives of flight crews. From schlepping their bags from one hotel to the next, or trying to remember what day of the month it is, or where the heck we are, Jetlagged gives readers a glimpse behind the galley curtain. 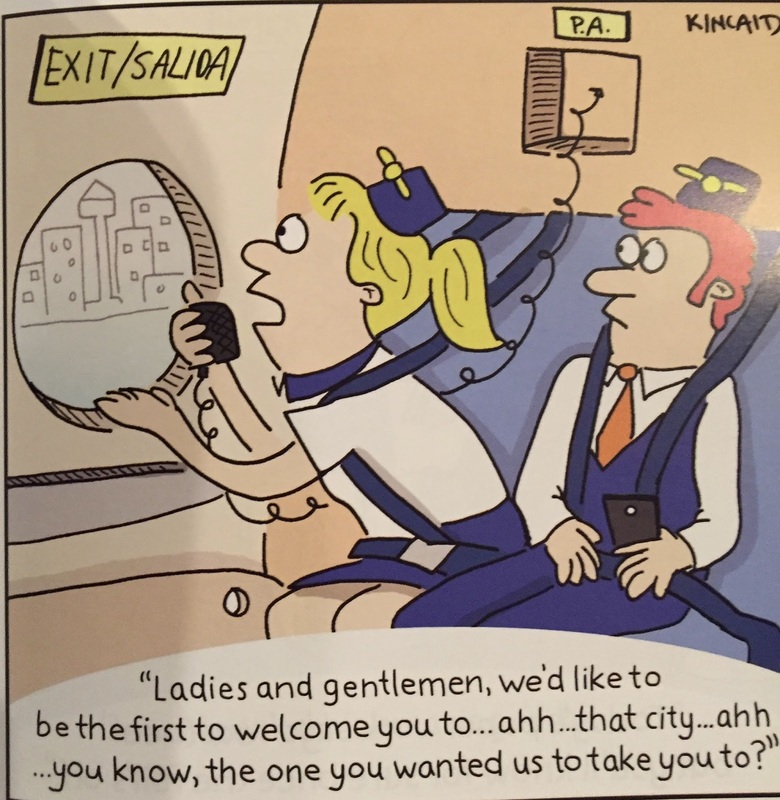 The comics are colorful, goofy and fun, something every flight attendant, pilot, aviation enthusiast and frequent traveler will enjoy. She gave me one of her books at lunch, and I'm having a blast reading it. Sometimes when the world feels like its falling apart, shift you focus to the humor behind those events. 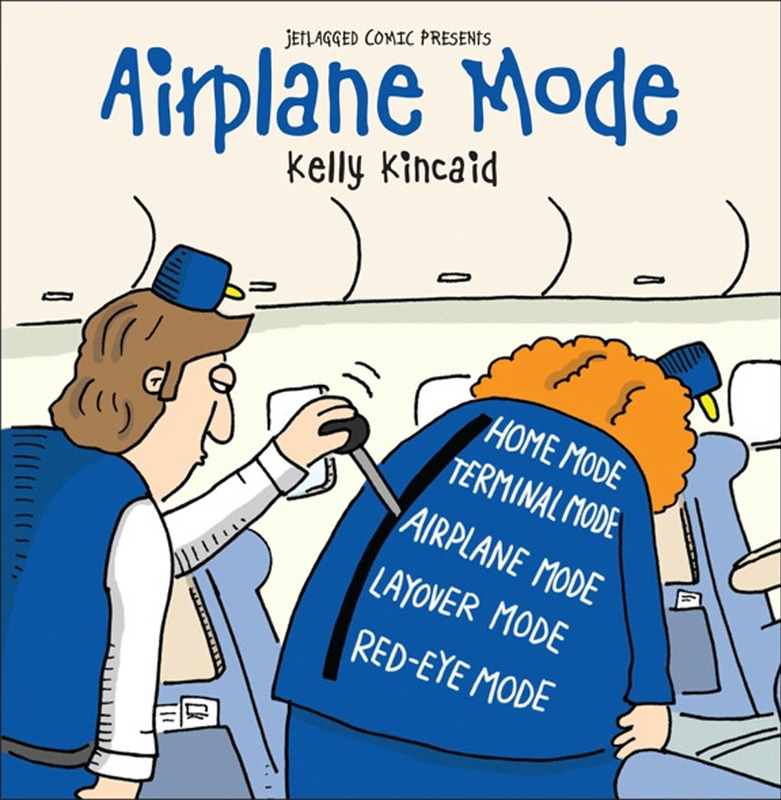 Whether you are a passenger or crew, I'm sure Kelly would love to hear your experiences so she can cartoon them, too! She is also super famous! Jetlagged has been showcased on media outlets including King 5's Evening Magazine, KOMO TV 4 and the Redmond Patch, as well as entertainment sites Rants of a Sassy Stew, A Fly Guy's Cabin Crew Lounge, The Flying Pinto and World Crew. 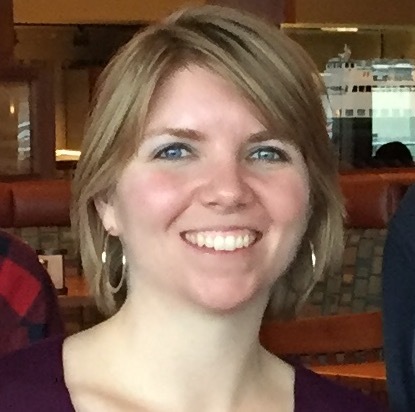 Kelly is going to be stopping by the 2017 Northwest Aviation Conference this weekend to say hi. Join me at booth 124 and you may get to meet her in person! on a plane or at an airport? As you all know my recent novel, Flight For Sanity, has been released, where truth mirrors fiction. Enjoy a little snippet of truth within the novel about Zonta, and how to join our meeting tonight. “Would you answer a question?” Darby asked her union rep.
“Depends what it is,” Phil said, with a laugh. “How so?” Darby raised an eyebrow. “What?” Darby said, flatly. She’d heard this joke before, but there was no way in hell he would actually speak the words. Not with what was going on. “Thanks for words of wisdom.” Darby rolled her eyes as she ended the call. That was the reality of what was happening here. The world had become politically correct, and everyone smiled and said the right thing. Yet the disrespect for women ran deep. If a man didn’t listen, he was being proactive and assertive, but a woman deserved to be put in her place and thrown away. Darby pulled her coat on and threw her purse over her shoulder. Violence against women ran deep, and she was proud to be part of Zonta International. She knew her mother had been abused, which was the reason she had kicked her father out, and thus joined the group to help prevent that violence worldwide. She headed outside, the wind was gusting something crazy. Zonta was a leading global organization of professionals that empowered women worldwide through service and advocacy. They recognized a woman's rights and strived to help her to achieve her full potential in a world where no woman would live in fear of violence. She unlocked her car and climbed inside. Most people envisioned violence as physical. But psychological violence was equally as bad and often led to suicide. Nearly half of all women in the United States would experience psychological aggression by someone in a close relationship. Add the workplace to that equation and those statistics were more than frightening. She gripped the steering wheel with both hands, and placed her forehead against the coolness of the leather. Darby never imagined in her wildest dreams her company could do this to her, when all she did was submit a safety report on their operating practices. They were in the process of psychologically tearing her down. Perhaps it was damn time to show them exactly what she was made of. She sat upright and started her car. Flight For Sanity's Aviation Debut! "Wow - what a page-turner! The chapters are fairly short, and reading one chapter is like eating peanuts - you just can't stop. Great plot, could be right out of todays - or tomorrows - headlines. It's been a while since I read previous books in the series, and the characters continue right where they left off. But even if you haven't read the first books in the series (I recommend you do!) you won't be lost, as back-story is fully fleshed out. 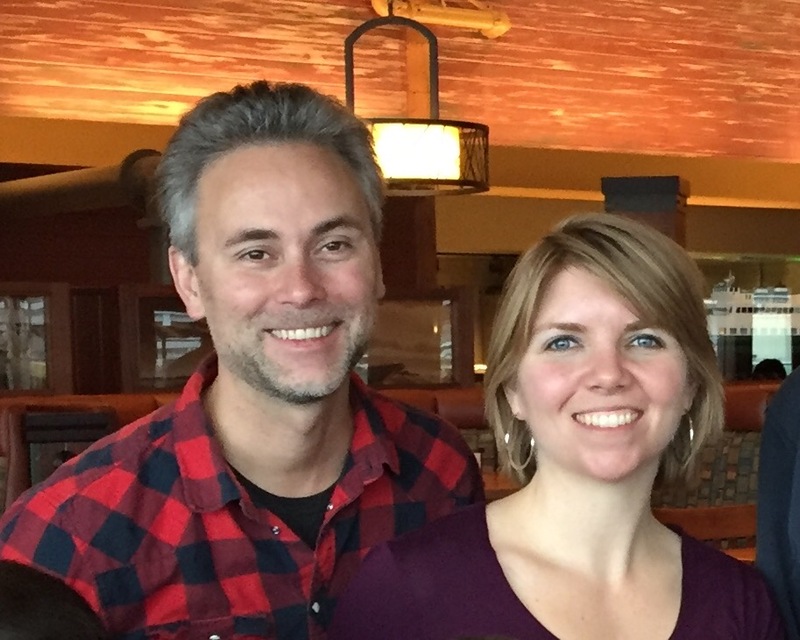 You will definitely connect with Darby, Kat and John, and will be on the edge of your seat trying to figure out what the bad guys will do next. I really like the way the author weaves real-life airline/flying issues into the story. If you're an airline pilot, you'll be nodding in agreement as automation/hand-flying/AQP take center stage. And if you're a passenger, you'll be a lot more aware of what's going on. I definitely recommend this book!" "Being the fourth book of the saga, it's by far the best! You can't put it down once you've started it! A never ending fight against corruption and power abuse and as the previous books, a prevailing tribute to friendship and integrity. I highly recommend it." "Karlene's fourth book hits too close to home in an industry riddled with problems. For those of you who saw the movie "Sully," and for many airline pilots, we know the NTSB and FAA are not our friends. Neither is Global Air Lines, as Karlene's character Darby learns all too quickly. I had to stop myself from biting my lip and holding my breath while reading this thriller, because I know from personal experience how much of it is true. If you can handle the truth, couched in fiction, you will love it. If you are a fearful flier, don't read this book, but know that Darby is working against all odds to have safer skies and better training!" and pick up your copy!